Red Lightning team members are, left to right in the front: Leia Goodwin, Riley Mercer, Brian Mastine, Mason Tyler and James Civiello. Left to right in the back: Judah Wildrick, Mason Hersey, Evan Thomas, Ezra Wildrick, Ben Lewis and coach Isaac Wildrick. Missing from the photo is Brooke McCormick and Cyrus Engle. 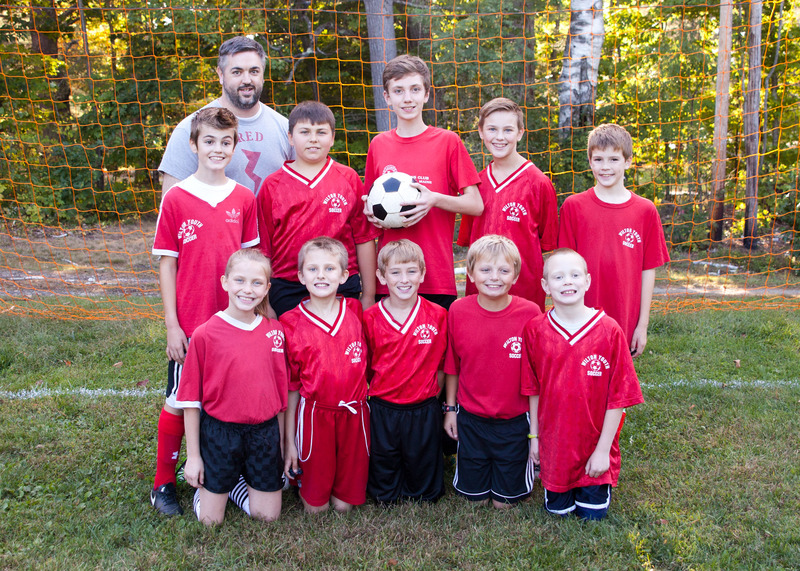 WILTON - The Red Lightning repeated as league champions in the Wilton Recreation Major League soccer division by defeating the Maroon team 1-0. The winning goal came with just over a minute left in the game.